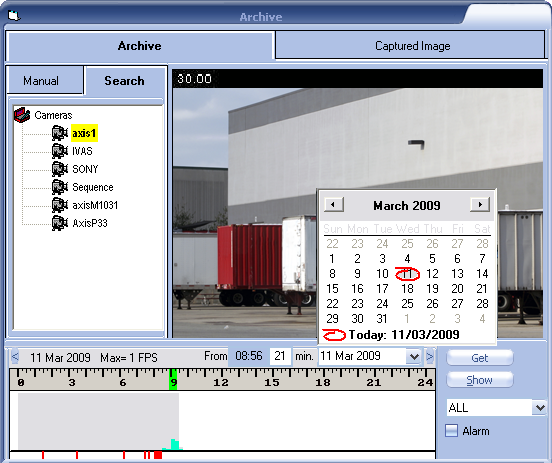 To choose the date of interest click on the down arrow next to today’s date ant select the date from the calendar. Playback control panel includes the following buttons from left to right — Play Forward, Play Backward, Pause , Frame Forward, Frame Backward. Clicking Capture button will save a single frame of the video and transfer it into the Captured Imagepanel for editing. This captured image can be adjusted as needed and saved as a JPEG file.